In May 2016, DC Comics launched a refreshed comic book universe, calling the initiative DC Rebirth. The publication of DC Universe Rebirth #1 marked the end of DC’s New 52, which controversially rebooted the DCU from 2011 to 2016. 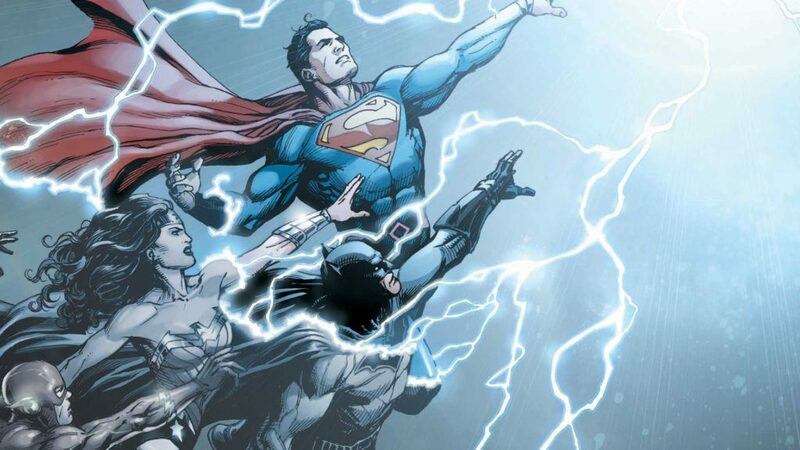 The promise of DC Rebirth is a return to the long and rich history of DC Comics. Below you’ll find the first year of DC Rebirth comic books, as well as the collected editions that allow you to progress through the Rebirth timeline chronologically. Alternatively, those of you looking to cut straight to the chase can try Comic Book Herald’s DC Rebirth fast track guide! I also rank many of the DC Rebirth trades on my best comics of all time list! The Rebirth omnibus collects all the one-shot Rebirth specials for the major characters of the DC Universe. Note that a number of these Rebirth specials are also collected in the first volume of each respective character’s collected comics. The biggest exception is of course DC Universe: Rebirth #1 , which is absolutely essential reading to understand our progression from the New 52 to DC Rebirth. Don’t worry, if that’s all you’re after, the issue is $2.99. I initially included the first Flash Rebirth comics in the Justice League section below, but as reader Jason points out in the comics below, these issues follow-up most directly from the DC Universe Rebirth one-shot. Absolutely one of my favorite DC Rebirth titles, with a great Bat-family team. 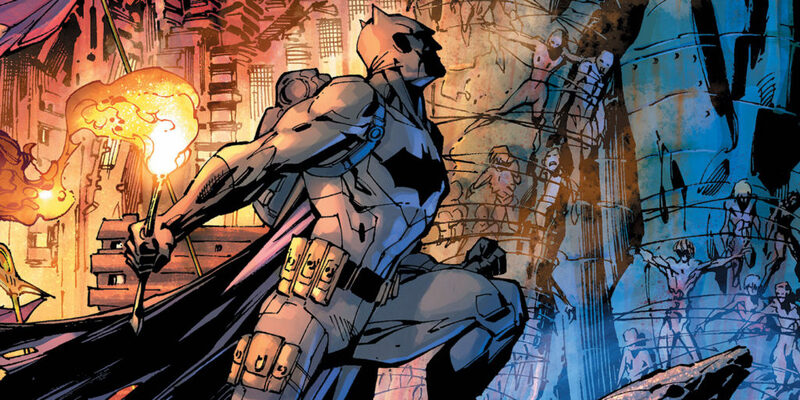 Technically Nightwing’s first story arc takes place before the conclusion of Batman and Detective Comics, at least based on Batgirl’s references to events taking place in those series. There are no spoilers or story problems reading here, though, so I’d personally avoid breaking it up. If you’re reading the trade, make sure you stop after Nightwing #4 and proceed to the Night of the Monster Men crossover below before coming back here for Nightwing #7. Do not read if monster designs straight out of Bloodborne and Dark Souls keep you up at night! Final Days is a “Road to Rebirth” collection that effectively concludes the New 52 and transitions to Rebirth. The Deluxe Action Comics Rebirth edition includes Justice League #52 as a prologue to the Rebirth issues of Action Comics, so I’ve added it to the order. Make note that this JL issue makes a ton of references to the New 52’s Darkseid War , but it also effectively sets up the state of things for Metropolis. I’ve moved up the New Super-Man first volume given the apparent belief in China that Superman’s “Final Days” are still very much in effect. Superwoman Vol. 1: Who is Superwoman? Note that the first two volumes of Wonder Woman oscillate between odd and even numbered issues. The odd numbered issues form “The Lies,” while the even numbered issues offer a “Year One” story from Greg Rucka and Nicola Scott. 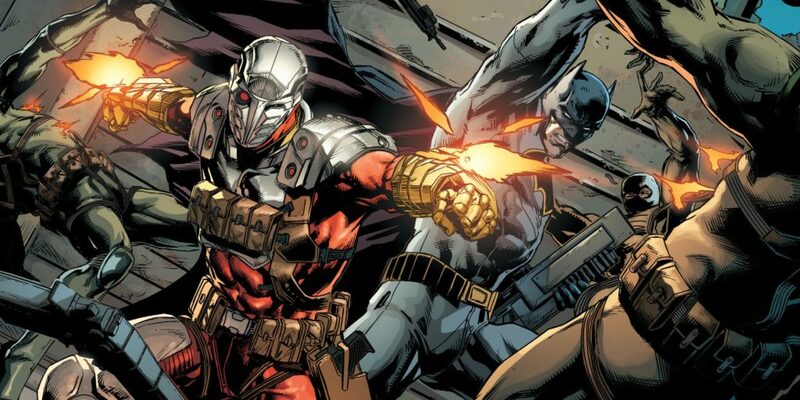 Note that issues #8 to #10 of Suicide Squad are Justice League vs. Suicide Squad tie-ins. Next: DC Rebirth Year Two! Personally, I’d rather read the majority of Rebirth stories in full story arc chunks above. Nonetheless, if you’d prefer an issue by issue approach more closely aligned to how the comics were released weekly, you can check out the order below. Note that any and all feedback for this order is welcome. If you see something that looks off, make your case for a change in the comments! Batman Beyond Vol. 1 is labeled as “The Return” on your list, but your link leads to “Escaping the Grave”, which I believe is the correct volume. Just wanted to point that out. Ok, so I have read just about everything I want to in the new 52, and am about to start rebirth. The main appeal of dc to me is definitely the cosmic (same with marvel) so the gl stuff is my favorite. Specifically Geoff Johns, I like pretty much everything he does. I loved his superman run from before the new 52, but I haven’t read any actual new 52 superman. My question is: where do I start with new 52 superman? 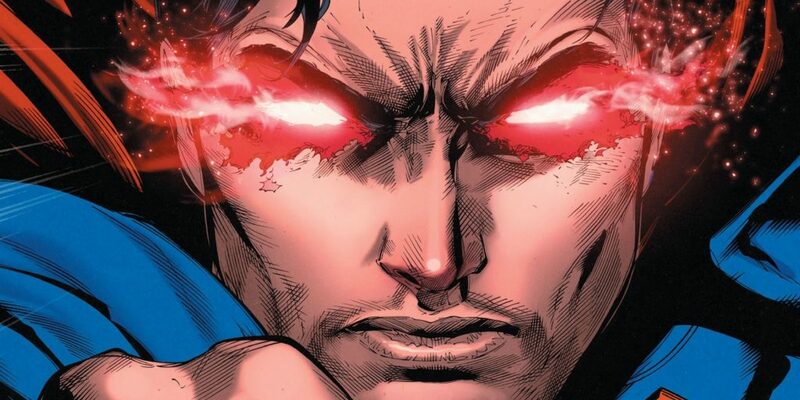 I am finishing futures end right now and realize that convergence/brainiac seems like my cup of tea, but I assume I should read the johns new 52 superman? Is that a clean start? I have read most of new 52 justice league, and I don’t really care about anything other than the big events at this point. You should read the first three volumes of Action Comics by Grant Morrison which is an (obviously great if you like Morrison) “early years” take on the character but, other than that, you’re best just to skip straight to “Superman: The Men of Tomorrow” by Johns, followed by the below. Anything in between is total junk. That’s not to say the rest are great, but they will bring you up to date on what’s going on with Superman in Rebirth so far. In fact you can probably skip everything other than Final Days and Lois & Clark, depends how much you like Supes I suppose. The last book follows on from Convergence which is supposed to be terrible but with a few good tie-ins. I read it on Wikipedia instead of reading the books but still read the two Superman tie-ins in preparation for Lois & Clark. Why are Green Lantern & Green Arrow in the same category thing? Where should I read the annuals? One area I have a question on relates to justice league of America. I got the hardcover deluxe edition which has a bit more then what the standard TPB covers. Can I just do it all where listed in the reading order or should I stop part way and read the road to rebirth issues later on per the reading order? Hey Dave, what would you recommend reading before reading Rebirth? One question, bro: Didn’t “Justice League of America #1 to #6” must go AFTER from “Justice League of America: The Road to Rebirth”? Thank you very much! Before I read this guide, would you recommend me read the DC New 52 Reading Order? There seem to be a few problems with the issue numbers on the sections. 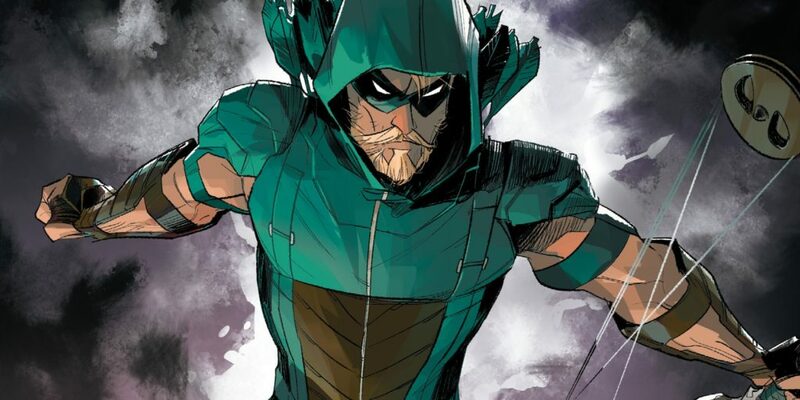 I noticed this specifically with Green Arrow Vol. 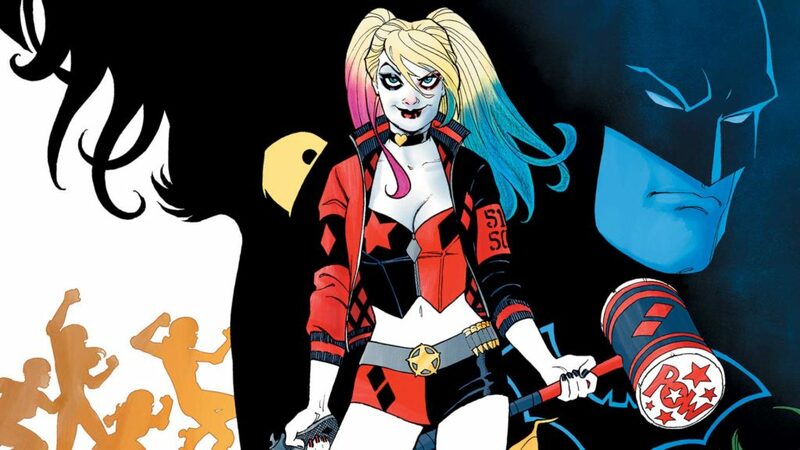 1 which is missing issue #6 and the numberings for Suicide Squad, Deathstroke, and Harley Quinn need to be rechecked, they’re off by one or two issues. I discovered that there is some back and forth of a kind between Action Comics and Hal Jordan and the Green Lantern Corps considering General Zod that may have started with Suicide Squad, does anyone know how they relate to each other? Thanks, mate! A shame Dave didn’t take this into account. Any other orders like this in Rebirth I should know about, by any chance? ‘Batman Vol 2: I Am Suicide’ collects issues #9-#15, not #7-12. Issues #7, and #8 are exclusive to the ‘Night of the Monster Men’ crossover that separates ‘Batman Vol 1: I am Gotham’ (Rebirth one shot, issues #1-#6), and ‘Batman Vol 2: I am Suicide’ (#9-15). It also doesn’t include Batman Annual #1. Unless they just added to new prints of Vol 2. Pretty sure that annual is collected in the DC Rebirth Holiday Special. Superwoman Vol 1 is issues 1-7. You only have it listed as 1-6. Overall this list has been great! You are missing a couple of Rebirth titles. 2. Death of Hawkman (Rebirth) 6 issue series. Should probably be read right before Midnighter and Apollo. I am loving this list, and really enjoying Rebirth. As I work my way through, I’ll continue to leave notes on potential small corrections. Superwoman v1 contains Superwoman 1-7, not 6 as listed. Detective comics volume 1 goes to 940 not 939. I am reading through now and was very confused why it would end with Red Robin in such a cliffhanger. I had to look it up somewhere else. Everything I’ve read before that has been great. Love the site ! So i’m just starting this list and i’m going to do all TPBs. There are a few titles that I already don’t want to care about I’ll probably get all volume ones, just to not judge a book by it’s cover. Don’t think Gotham Academy is part of the regular continuity but I might be wrong – I haven’t read an issue of it and I don’t feel like I’m missing anything. The Young Animal series are an acquired taste. Not really my cup of tea. You’re not missing anything important by skipping, although I’ve quite enjoyed Mother Panic. Blue Beetle is entirely skippable, unfortunately. Superwoman is really good and not unimportant but also not at all vital. I like the Young Animal stuff, I’d recommend at least sampling. It isn’t important to the Rebirth story line. New-Superman is decent, I like Superwoman more but New Superman does pop up in the main Superman title eventually. Gotham Academy is probably in-continuity but is definitely self-contained. I like it but it definitely skews more toward the young adult market (while still being a surprisingly good read). I wanted to like Blue Beetle but it seemed really low-effort and it’s not important to understanding the universe at all. My approach (at least until I’m deeper) has been this: if the TPB has the blue/black rebirth banner it is must read. The entries on this list may expand or introduce additional information, but aren’t critical to the rebirth interactions. Gotham Acadamy – doesn’t have the banner, but I think it’s a continued title from a New 52 entry. So it’s not necessarily part of the rebirth storyline, but does take place in the same universe. Young Animals – I found the easiest way to mentally catalogue these is by thinking of them similar to Marvels Netflix’s shows. They are in that universe, and main characters pop up passingly in conversation. However the titles are written for a different audience and aren’t written to be part of the woven fabric that makes up the main universe. 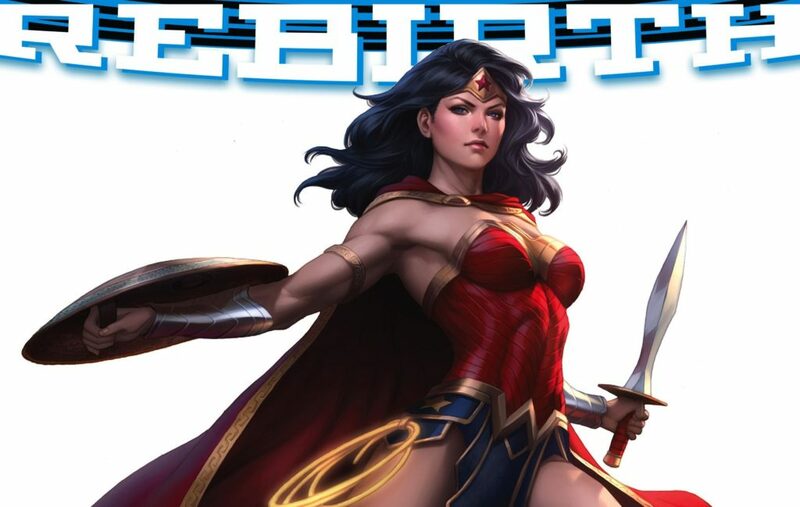 Superwoman, Blue Beetle, & New Superman – all have the rebirth banner. -Superwoman. The only one I can speak to having read yet. It’s an ok story but not as grasping as some of the main character titles. It’s kind of all over the place at times and uses a lot of new characters/viewpoints. So if you’re a new ready or haven’t been up to date in a while.. it can be a lot to take in. It does, however, do a good job of representing a diverse spectrum of characters in terms of minority groups previously i represented in comics. As far as the rebirth story importance I would say it’s biggest importance is cleaning up some of the rough edges left over from the New 52/Rebirth transition. -Blue Beetle. Haven’t read but apparently a lot of people were exc Red to see this character get a larger focus, but we’re underwhelmed by the title entry. Words I read a lot were ‘forced’, and ‘unfocused’. -New Superman. Haven’t read yet, but would definitely advise including. Has already been mentioned in the early Super-family comics, and for sure will tie into rebirth and Superman stories down the road.